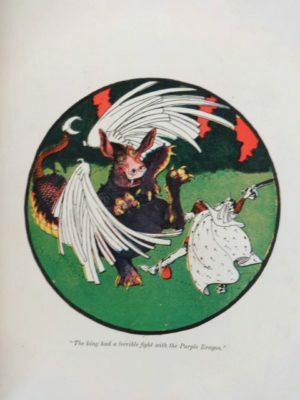 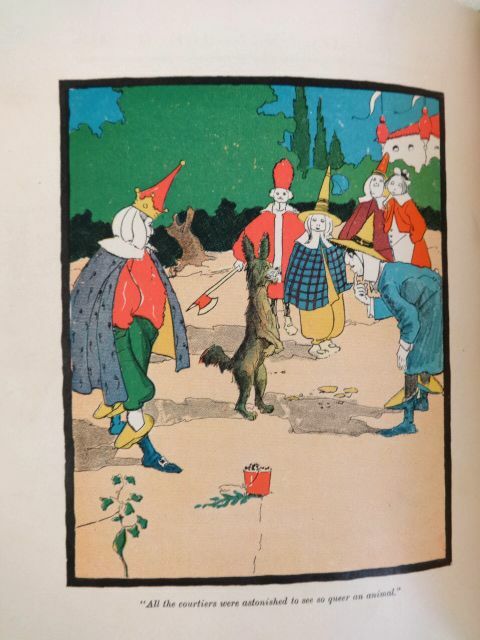 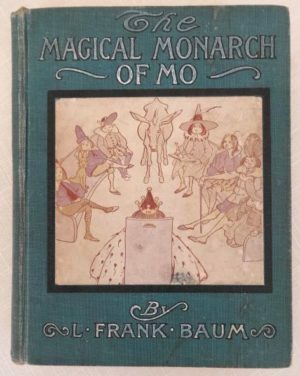 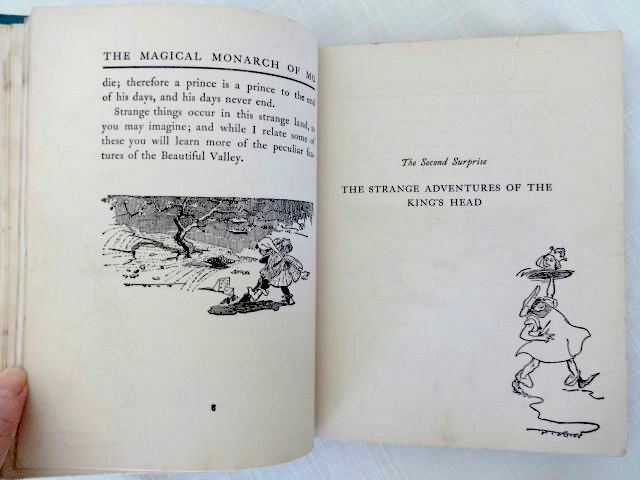 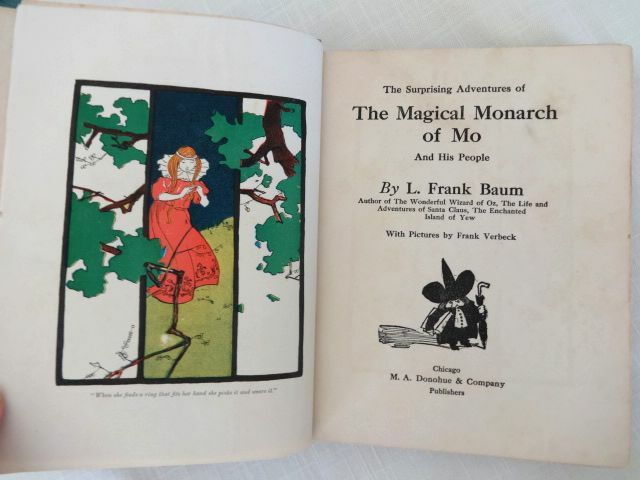 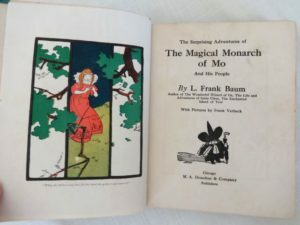 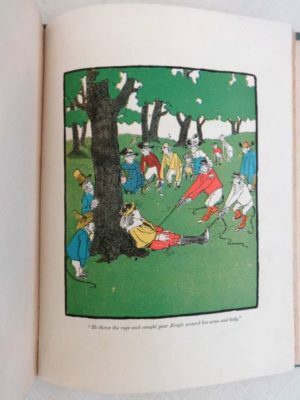 Here is The Magical Monarch of Mo, by L. Frank Baum, circa 1913-1920, as described by the Book Collector’s Guide to Baum. 2nd Donohue printing, with color plates and many black and white illustrations by Frank Verbeck. The is the blue cloth binding. 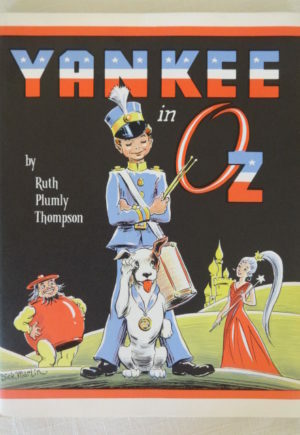 One of Baum’s most clever and entertaining works. 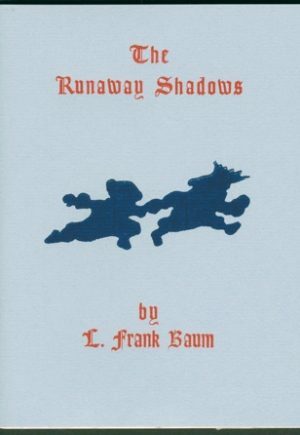 (Personally, I think it’s much better than the highly rated Sea Fairies). 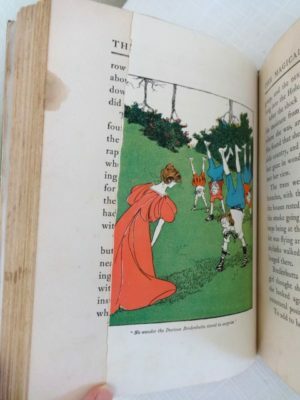 A vintage reading copy only. 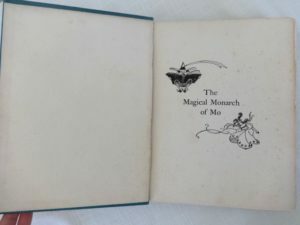 The cover cloth and exterior are actually pretty nice, with light wear/soiling as shown. The interior, however, is very worn–first blank endpaper is missing, significant fingerprints to pages, dirty text block, some edge tears, 2 of the 8 color plates missing and two only half there, other minor issues. 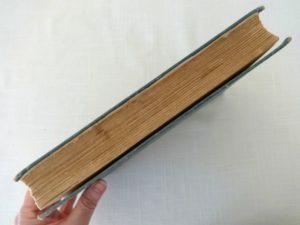 Binding is holding and all text pages seem to be there. 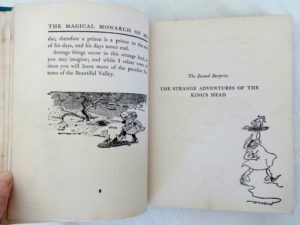 One of my “Wild and Homeless” books, looking for a non judgemental home.